Tony, Paul and I fished from 6:30 to 9:30 last night and ended 2 for 4 with a 8 lb steelhead that came on a 3 color on a reg. size green/white pro-king with an orange back. The other fish was a 13 lb king that came on a green fly and spin-doctor with spots on dypsy. We had a real big king get away as well. The best action was on on a NE troll 85 - 95 FOW. 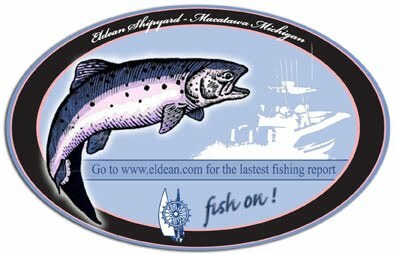 Lots of steelhead have been caught off the pier in the last few days.